Driving Mr. Baby – In Colombia | Barranquilla or Bust! 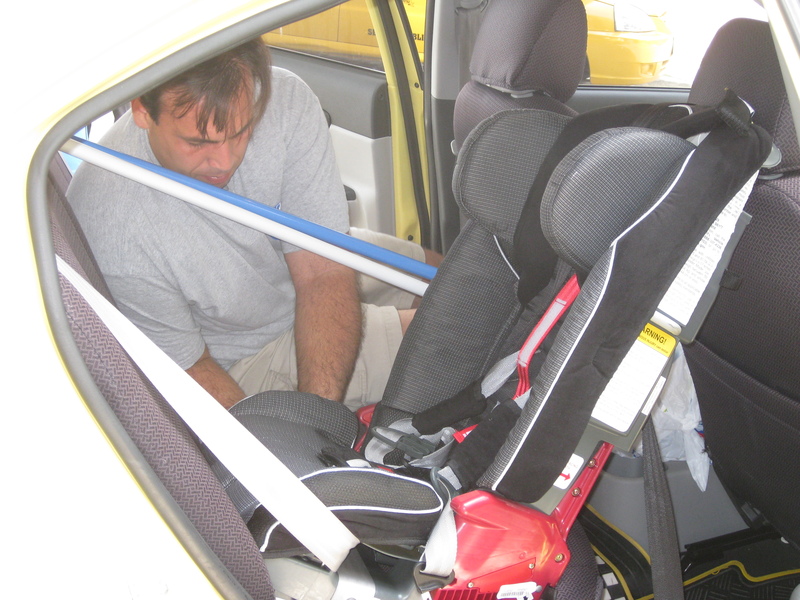 The infamous baby car seat and Gio installing it. Ah, the baby’s car seat. Rarely does such an accepted feature of toddler life in the U.S. raise so many issues when traveling abroad. Like most parents, Gio and I are extremely vigilant about the safety of our baby. After being informed by a pediatrician friend and fellow mom that motor vehicle accidents are the number one cause of accidental death for children traveling abroad, we committed ourselves to using the car seat during our time in Colombia. We dutifully lugged the heavy thing from the U.S. to here and managed to install it rather precariously in the van that transported us from the airport in Cartagena to Barranquilla. Thanks to our relatives, Gio and I were able to begin apartment-hunting immediately, without the baby in tow. When we did go out with the baby, we were able to walk to most places with the baby in his stroller (although this was necessarily a two-person effort due to the massive curbs and lack of ramps throughout the city). Then came last Saturday. Gio and I had the opportunity to go see an apartment whose owners would be able to use our Miami references (no massive security deposit!). We needed to take a cab to see it, but didn’t want to impose on our relatives during the weekend. Gio had previously confirmed that cabs did in fact have back seat belts (not a given in every country). The seat belts, however, did not “lock” the way they do in the U.S. when you come to a sudden stop or pull the seat belt out all the way. This means that you can’t use them to install the car seat the way you would in the U.S. because the car seat will just wobble all over. Without first doing our research, we thought these “no locking” seat belts were a feature of cabs only, and so we even called a car rental company to check its belts. Same issue: no locking. We finally reached the conclusion that cars made for the Colombian market do not have seat belts that lock. We were about to resign ourselves to putting the baby in our laps, until Gio did the logical: he Googled it. 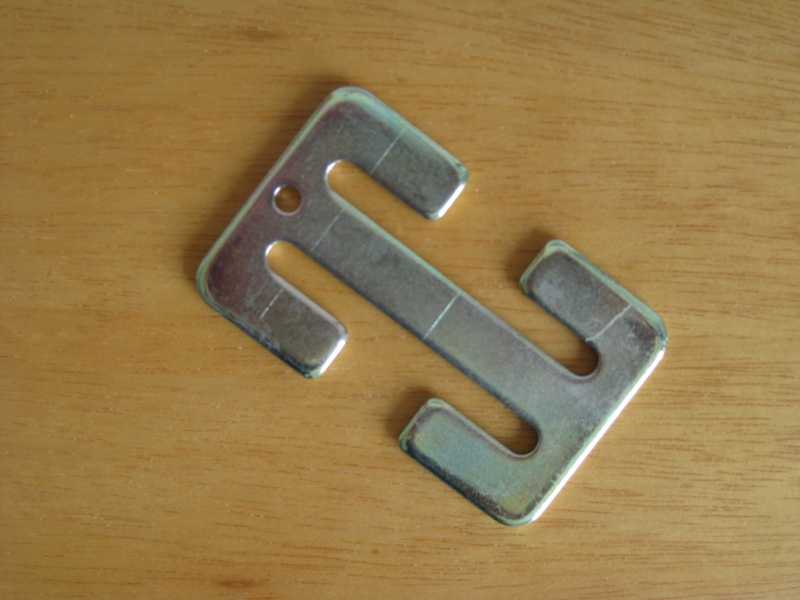 Once you cull through all the posts telling you it’s a waste of time to take a car seat to Colombia, you’ll find a few good ones that give you the secret: the locking clip. Unbeknownst to us, our car seat came with this miraculous gizmo. It actually fell out of our baggage in the airport and Gio was like, “What is this?” and I was like, “I don’t know, but it goes with the car seat.” We know now that you slip it on the seat belt and it makes it lock. Voila! Problem solved. Colombians were without fail patient with us during this process. Ours is the only car seat we have seen in Barranquilla – to say they are not common is a serious understatement – and yet people have not given us harsh looks or been irritated or insulted (what, your kid is better and/or more precious than mine?). People have sought to help us at every turn – even when we spent a good 20 minutes trying to install the seat in our first taxi only to end up going nowhere at all. In the end, all three of us successfully and safely made the trip to see the apartment. As it turned out, it wasn’t the apartment for us (hello again, big security deposit), but now we know how to move it, move it, even with the baby. Hooray! 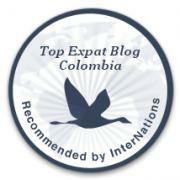 This entry was posted in Daily Life, Parenting and tagged adventure, baby, barranquilla, car seat, carseat, child safety, Colombia, international, Latin America, safety, travel. Bookmark the permalink. 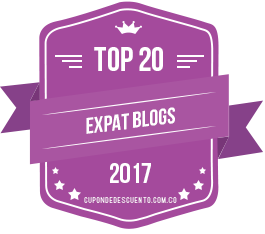 Pingback: Part 3: Ten Ways that Parenting in Colombia is Different than in the U.S. | Barranquilla or Bust! I am so sorry that I am just now responding to your comment – I haven’t been keeping up with this blog too well! Cars are carseat compatible here but you need to have the little gizmo referenced in my blog post in order to work with the types of seatbelts that exist here. Car seats are available to purchase here, for sure, so you don’t necessarily need to bring one with you unless you just already own it and don’t want to buy it again. If you won’t have your own car and are planning to take taxis, I’ve heard of these vests you can use to help secure your child in the taxi, but I don’t know how well they worked and have not tried that myself (and I think you’d have to buy anything like that in the US). Sometimes you just need some #bubbles .